Dvořák’s Requiem hasn’t appeared in Sydney Philharmonia Choirs programming since the 1980s and, to be honest, we’re not sure why it has taken us so long! This ‘Mass for the Dead’ is generally regarded as his finest creation for voices and orchestra and over the course of an hour-and-a-half it takes musicians and listeners on a deeply moving journey of drama and reflection. It was commissioned by the Birmingham Festival in 1891, when Dvořák was already an established composer of international repute, although the New World Symphony and the Cello Concerto were still a few years away. The premiere was a huge success, prompting George Bernard Shaw to mock the English fondness for requiems: ‘the public loves everything connected with a funeral.’ But behind the sneer is a truth. Choirs and audiences really do love requiems – the catharsis, the drama and the beauty of contemplation. It’s as if through the shared experience of music, we can come to terms with the prospect of our own mortality. 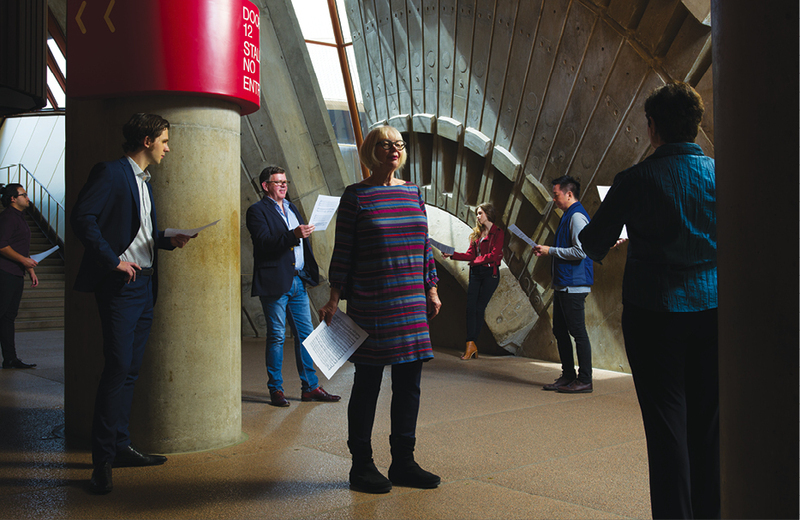 In this concert, our 350-voice Festival Chorus – the philosophical heart of the Sydney Philharmonia Choirs organisation – joins forces with the talented young musicians of the Sydney Youth Orchestra and some of Australia’s finest vocal soloists. Chances are you’ve not heard Dvořák’s Requiem in concert before – don’t miss this rare opportunity! Free pre-concert talk in the Northern Foyer 45 minutes prior to the concert. Sponsored by Fine Music FM.